Approximate backbone subsection optimization algorithm is proposed to solve the traveling salesman problem, for the precision accuracy of the basic ant colony algorithm for solving the larger traveling salesman problem is low. First, traveling salesman problem approximate backbone is obtained by the ant colony algorithm, and then the original traveling salesman problem is sectioned based on the approximate backbone. Then the ant colony optimization algorithm is applied to solve the subsections to improve the precision accuracy of the global optimal solution. 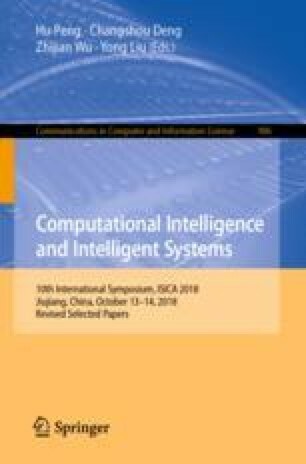 The experimental results show that the algorithm is more precision accuracy than the basic ant colony algorithms in the solution of the typical traveling salesman problem. This work was supported by the National Natural Science Foundation of China (No. 61763019), the Natural Science Foundation of Heilongjiang Province (General Program:F2017019), the “Thirteenth Five-Year Plan” of Education Science in Jiangxi Province for 2017 (No.17YB211), and the Science and Technology Plan Projects of Jiangxi Provincial Education Department (No. GJJ161072, No. GJJ161076, No. GJJ170 953).